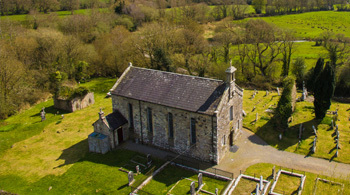 There are two national loop walk trail heads in the Glen of Aherlow – Christ the King and Lisvarrinane Village. 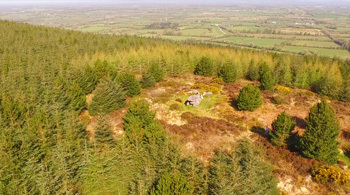 There are 8 loop walks ranging from half an hour to 4 hours round trip walking time across Slievenamuck through miles of forest track with spectacular views over the valley and to the Galtee Mountains. There are two lake walks – Lough Curra and Lake Muskry. The walks are up to 4 hours for the casual walker. These routes take you onto the Galtee Mountains where you can enjoy clear air, superb views, corrie lakes, wooded foothills, mountain streams and open moorland. 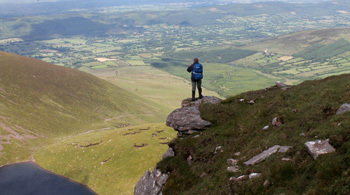 For the more serious and seasoned walkers there is unlimited trekking on the Galtee Mountains. The Galtees are Ireland’s highest inland mountain range, with a variety of peaks including Galtymore at 3,018 feet (919m). There are five corrie lakes on the range, accessible only by foot, to add to the attractiveness of the range. 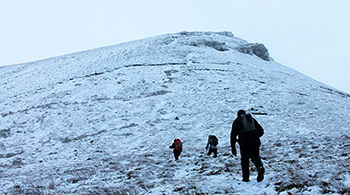 2 day annual winter walking festival the last week in January. Groups, clubs and individual walkers welcome, guided walks each day, excellent accommodation available and nightly entertainment. Click here for more details. Established in January 2003 the Galtee Walking club now has over 200 members. The Club meets every Sunday throughout the year for variety of mountain, road or forest track walks, led by Club Leaders. You will enjoy a variety of walks ranging from 2 – 6 hours depending on level with the added pleasure of local history and heritage. From April to September there is also a Wednesday evening walk, this is usually a 3-hour walk on forest tracks. 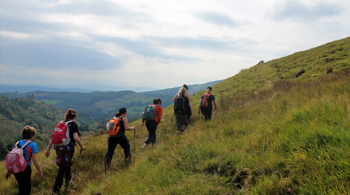 The Galtee Walking Club welcomes visiting walkers; their quarterly schedule is available from The Glen of Aherlow Fáilte Society on [+353] (0)62 56331 or email us at info@aherlow.com and will also be displayed by all accommodation providers. Visit http://www.galteewalkingclub.ie/ for more information. From the Vee to Cashel this way marked long distance walking route is 55kms (35 miles) long and takes in forest tracks and historic sites along the river Suir. The route also links into the East Munster Way and St. Declans Way. Route maps available in local tourist offices. 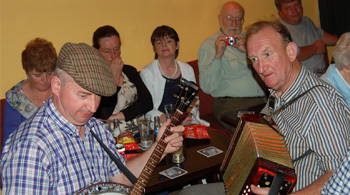 The Ballyhoura way is part of the O’Sullivan Beara Trail and stretches 90kms from John’s Bridge in West Limerick, through the Glen of Aherlow and finishing in Limerick Junction in Co. Tipperary.